Augusta's River Region is the perfect place for an adventure big or small. Here, we share a small sampling of its offerings for novices and experts alike. Happy paddling! In the early days of Augusta and Aiken's histories, the area's vast network of waterways beckons to those looking for ideal land on which to grow crops, helping to establish industries, bringing settlers inland, and sowing the seeds for what would become the region its citizens know and love today. Now, the life-giving waters of the Savannah and its estuaries call once again, this time to everyday explorers, scenery seekers, and fresh air fanatics. 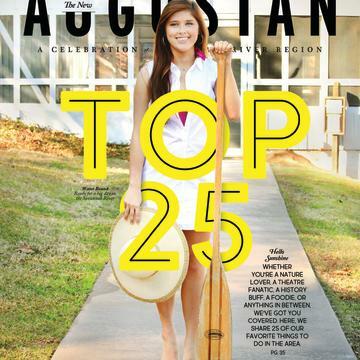 Serving as a playground for paddlers, Augusta's River Region is the perfect place for an adventure big or small. Here, we share a small sampling of its offerings for novices and experts alike. Happy paddling! These businesses offer everything you need to hit the water. Conveniently located at the Savannah Rapids Park and Pavilion, Savannah Rapids Kayak Rental offers single and tandem kayaks as well as stand-up paddle boards. A shuttle is available for a small fee for point-to-point excursions and employees are in hand to assist with kayak launch and landing during business hours. For more information, call (706) 832-5323 or visit www.kayakaugustacanal.com. As the Augusta River Region&apos;s only outdoor adventure shop that sells new and used gear, Outdoor Augusta is a favorite among thrill-seekers of all kinds. 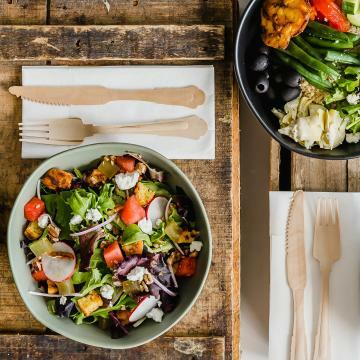 Check out their retail hop in Evans for gear or extended-day kayak rentals, or head to their shed at Riverside Park for single and tandem kayaks, canoes, and stand-up paddle boards. Every Thursday night at 6 p.m., paddlers can venture out for a special sunset excursion, and private tours can also be arranged and customized for any size group. For more information, call (706) 364-3668 or visit www.outdooraugusta.com. A native Augustan with years of experience on the local waters, Cole Watkins came up with the business plan for his kayak tour company for a college assignment and quickly made into a reality. 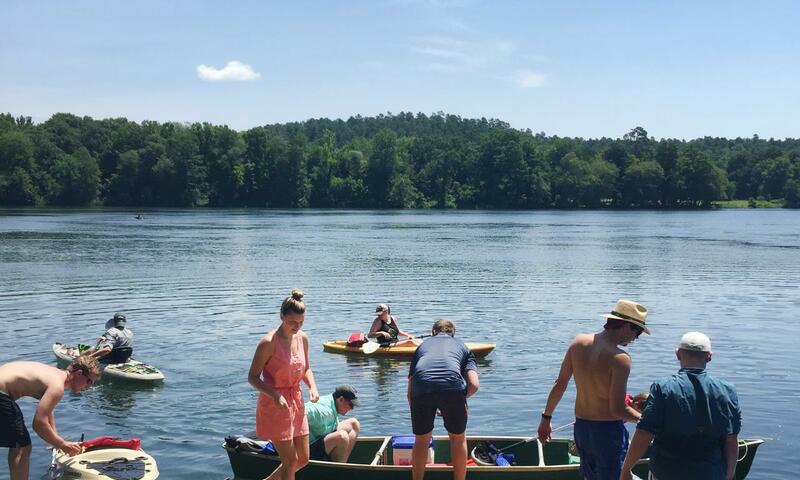 Cole Watkins Tours offer two- to three-hour guided kayaking excursions for groups of two or more, with options encompassing all levels of difficulty. For paddlers looking to fly solo, the company also offers kayak rentals with pick up and drop off of the boats included in the price. For more information, call (706) 840-0433 or visit www.colewatkinstours.com. Known for their wide variety of high-end, high-quality adventure gear and knowledgeable staff, Escape Outdoors is a destination for local adventurers. Their Evans location is the place to score single and tandem kayak rentals. Can&apos;t get enough of the water? They&apos;ll let you keep the kayak for another day for less than half the price of the original rental. For more information, call (706) 869-8080 or visit www.getyouradventureon.com. An Augusta institution since 1980, Broadway Tackle has an extensive inventory of kayaking and fishing equipment for sale. Single kayaks, tandem kayaks, and canoes are available for daily, weekend, and weekly rentals with transport options. The staff members at the shop are always willing to assist with any sort of paddling adventure. For more information, call (706) 738-8848 or visit www.broadwaytackle.com. Avid fisherman and kayakers, the team at Southern Moon Outfitters is well equipped to get you well equipped, with kayaks for purchase, accessories, tips, and advice from seasoned area paddlers. For more information, call (706) 830-4228 or visit www.southernmoonoutfitters.com. For those looking for something different, Whitecap Stand Up Paddle Boarding shares their knowledge and stock with Augusta River Region, offering two-hour lesson excursion trips including equipment and instructor guidance. For experienced paddlers, SUP rentals are available in a variety of board styles. For more information, call (706) 833-9463 or visit www.whitecapsup.com. As an independent, regional chain serving South Carolina and Eastern Georgia, Half-Moon Outfitters is just large enough to be a go-to spot for all of the big-name brands, while still offering the exceptional customer service once would expect from a small hometown shop. Stand up paddle boards and single kayaks are available are available on site for half day, full day, and weekly rentals. For more information, call (706) 738-1778 or visit www.halfmoonoutfitters.com. Now that you have your gear, plan your excursion. Maps are especially handy when navigating the waterways, and don't forget the bug spray, sunscreen, and bottles of water! Consider whether you want to try a round trip - starting and ending in the same place - or a point-to-point trip, where you will either need to park a second vehicle at the end location or use a shuttle. Then, head on down to the water and start your adventure. 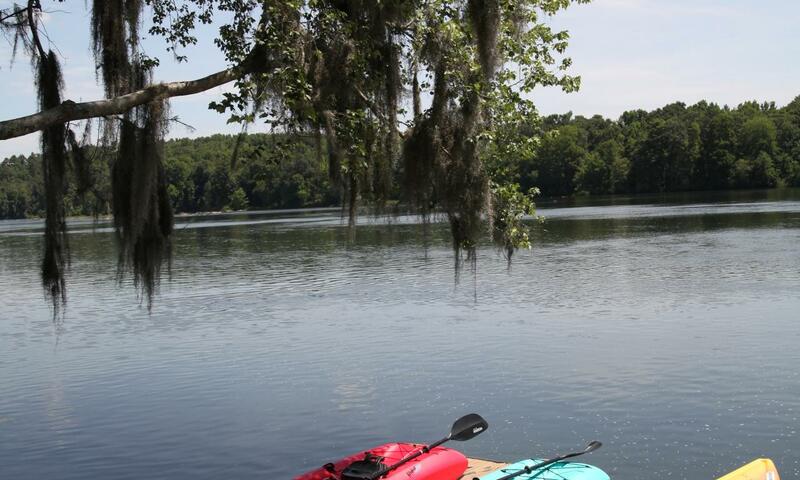 One of the most popular kayaking spots in town, the pavilion boasts access to both the Augusta Canal and Savannah River, making it an ideal spot for kayakers with any level of experience. Rentals are on site through Savannah Rapids Kayak Rental, and they also offer a shuttle service for point-to-point kayaking - whether you use their rentals or bring your own. If you&apos;d like to venture down the canal, enter the water via the dock near the parking area and hang a right, paddling down the picturesque Augusta Canal until you reach Lake Olmstead. If you&apos;d like to check out the Savannah River, cross the park&apos;s pedestrian bridge, head down the stairs, and enter the water via the dock there, paddling down to the Hammond&apos;s Ferry Boat Ramp. Peppered with the wide shoals, the point-to-point route provides the opportunity to play around with mild rapids. Another option is to kayak above the headgates, accessible via a path through the woods. While on the water, head toward the islands to explore, and you may just catch a glimpse of the resident goats and donkeys. Park at Riverside Park and rent a kayak from the Outdoor Augusta shed on site. Put in at the boat ramp and paddle upstream under the rail trestle, through Champion&apos;s Retreat Gold Course, and around German Island before heading back to Riverside Park. The backwater of this section of the Savannah River makes it a prime location for turtle and fish activity, and the mild current makes it a perfect trip for paddlers of any skill level. In Boeckh Park at the end of Hammond&apos;s Ferry Rd. Also known as the North Augusta Boat Ramp. Hammond&apos;s Ferry is a great place to put in your kayak for a nice excursion. GO right from the ramp to paddle upstream and either paddle up and around the nearby islands or take a left into Rae&apos;s Creek, visiting Aqueduct Park before turning around. Alternatively, you may take a left from the ramp and paddle downstream to the marina, making for an easy point-to-point trip. Depending on which state you access it from, or perhaps you stand on the 1980s lake-renaming politics, "The Lake," straddling on the Georgia/South Carolina border, can be referred to be either Clark&apos;s Hill Lake or Lake Strom Thurmond. Though locals have yet to come a consensus on the name, they can agree on one thing: it&apos;s a paddler&apos;s paradise. At 71,000 acres, with 1,200 miles of shoreline, the lake is full of opportunities to explore, including a number of islands perfect for slinging up a hammock and relaxing in the gentle southern breeze. Located on the Georgia side of the Savannah River, The Boathouse is a city-owned facility just downstream from downtown Augusta. Park in the lot, head down to the boat ramp, and paddle down-stream under Interstate 520. After crossing under the highway, look to your left for an entrance into Horse Creek, a meandering and twisting little-known waterway that makes for an exploratory afternoon. When you are done, turn around and head back to the boathouse. With four park lakes and access to the South Fork of the Edisto River, Aiken State Park is a nature lover&apos;s dream, ripe with opportunities for bird watching and fishing. The park participates in the SC Department of Natural Resources Tackle Loaner Program, featuring rods and reels for loan at the park office, while canoe and kayak rentals are available at specified times (call 803-649-2857 in advance of your visit). 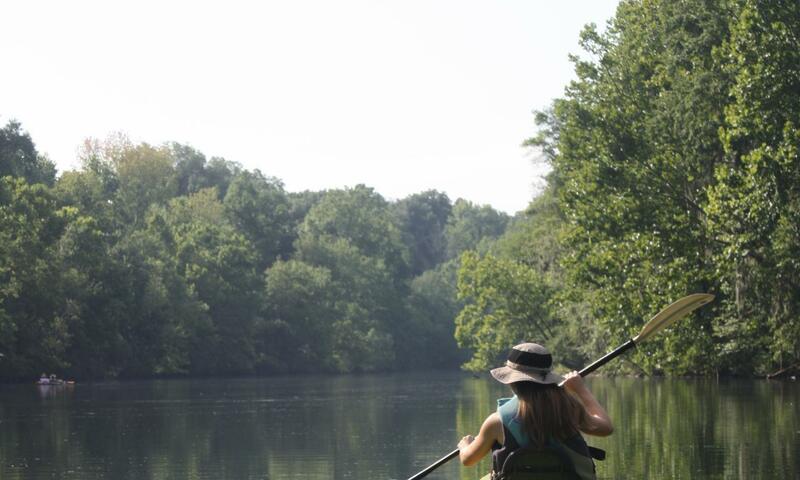 Aiken State Park boasts a 1.7-mile canoe trail ready to be explored. While hitting the water solo is always an enjoyable experience, there are countless benefits to connecting with other paddlers nearby. Here are a few ways to get involved. A non-competitive paddle events for cancers, kayakers, and stand up paddle boards, Benderdinker encompasses a six-mile paddle beginning and ending at Riverside Park in Evans. Along the route, checkpoints feature live music and regional food samples, making Benderdinker one of the most exciting and enjoyable paddles around. Rentals are available for the event, historically is held each April. Connect with local paddlers on social media to share favorite locations, take part in group outings, get updated on local paddling news, swap expertise, and make new friends. Join a leisurely excursion with other paddlers, take part in a poker run, or compete in a race at Paddlefest, held each May.